“What am I doing wrong?” fumed Mary Ellen, a mid-forties parent of three who was seeking my assistance in a job search. Her phone call came on the heels of learning that she didn’t make it to a finalist round for a sought after job. She was furious. Or was hurt a better description? She reasoned that she was perfect for the job. Has your transition ever deposited you at this moment? A mismatch? ‘Perfect’ from one’s perspective and ‘not’ from another’s. I often hear the same surprise and confusion over similar mismatches from Focus Group participants. The cause? After three years in transition I think the answer lies in stories, the stories we tell. Stories are fundamental to transition. They provide the basis for our engagement with others. They act as the currency through which others listen as we dream out loud or as we research a new concept. Told orally they require a disciplined structure and real work. Mary Ellen had spent her career in the medical field. Her target company wasn’t simply a recast of her earlier roles. Instead she’d transitioned. She now sought a role in education and training albeit for a medical provider. She’d been out of the full-time workforce for eight years thanks to three children, her mom’s passing, and a geographic move. What story was she telling? Panic enveloped her as she explained the phone call she’d just received. She needed a job. This one was perfect…. 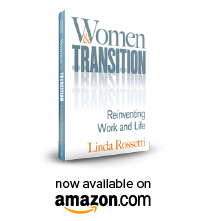 Many years prior to my transition I encountered stories and their impact quite by accident. “You don’t support my business,” quipped Mike, a colleague and infuriated divisional president who served with me on the executive team of Iron Mountain. He was stunned and more than a little agitated by my lack of support for an executive level candidate. Given my role as EVP of HR and Administration he needed my buy-in before extending an offer of employment for any executive level position. Needless to say he wasn’t happy. Somehow in the moment I had the foresight to ask Mike how he had conducted the interview. I reasoned that if I could understand how he got his info maybe I could understand how he reached his conclusion. Mike’s response was amazing. 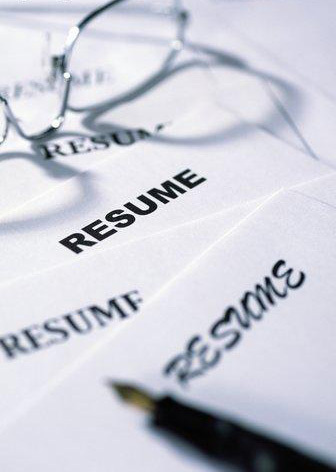 He told me that he had gone chronologically through the candidate’s resume in reverse order. Interesting, more than a little horrifying, and instructive. How had Mike, now in his 50’s, missed a career full of training on candidate screening and selection? The result of Mike’s barrage so long ago? A mismatch. He never convinced me to adopt his assessment of the candidate. Could Mary Ellen have experienced a similar divide? We’ll never know. But the discussion with her allowed me to rethink the role of stories in transition. In a word, critical. Why does this make sense for you? These questions, and others like them, offer an opportunity to share your redefined thoughts on identity, capacity, and purpose. They’re transition’s work product. Early on in Novofemina’s history a business school colleague and friend agreed to share her story, An Ode to Networking, as part of the Voices of Transition column. It was powerful and inspiring. In it she shared…. Once you pivot to focus on stories concerns like ‘a multi-year gap on your resume‘ disappear. What is important is what you are doing and why it makes sense for you. Your story can be supported by details from volunteering to run the town’s book swap or drafting the legal documentation to divest a corporate division. It doesn’t matter. It is worth telling if it’s in your own voice and meaningfully conveys who YOU are. Is there a story that you are ready to tell? I agree that our stories framed in a way that communicates informed choices, confidence and how those choices contributed to ones skills, knowledge and capabilities is critical. And, just as important, we each need to believe in the value of our experiences and choices and own them. If we don’t, our stories lose credibility.